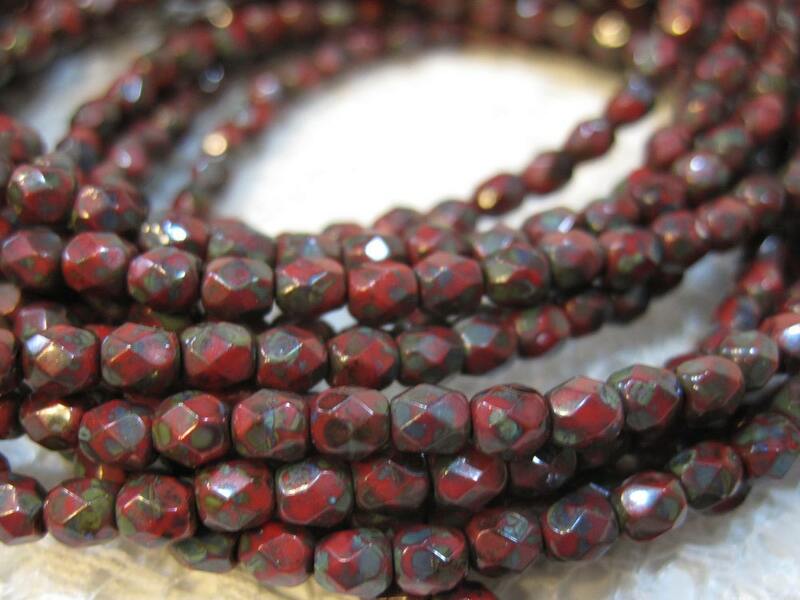 Red Picasso Preciosa Czech glass fire polished crystal beads with Picasso finish measuring 4mm. Picasso adds a green color to the finish. Add some sparkle to your jewelry creations! Just as described. Thank you for the quick turn-around on my order. Pretty beads; just like picture. Thanks!